What was the most wonderful thing about writing the RAW blog this year? The people I have met. My life will never be the same. I know I have received more than I could ever give back. I meant it when I wrote that the most splendid people seem to get RA. It has been a great joy to laugh and cry and pray together with precious warriors from all over the world. The most challenging thing? It was trying to keep up the daily work of writing in the midst of constant pain. I love to do the actual reading and writing required, but pain in my fingers or neck or elbows (you get the idea) can make typing difficult. Of course, since I can’t garden or quilt or do stucco anymore, I’m very grateful to be able to do something productive by writing. Most funny? There have been too many funnies to remember them all here. I remember laughing out loud when I read a comment by Caysea about her medical records. Then there was the time she imagined a doctor reading my blog secretly in the dark to learn more about RA patients. That was hilarious. Of course I always laugh at Dr. Laptop. What was your favorite funny moment? Most surprising? I was shocked to learn about how many medical professionals view chronic illness and chronic pain, especially Rheumatoid Arthritis. I had not realized how common it is to see RA as partially a mental /emotional disease. At first, when it became clear to me, I felt offended. Then, I realized that it was just another part of our two-front war on RA. My original goal was to tell the truth about RA, so I just kept at it. 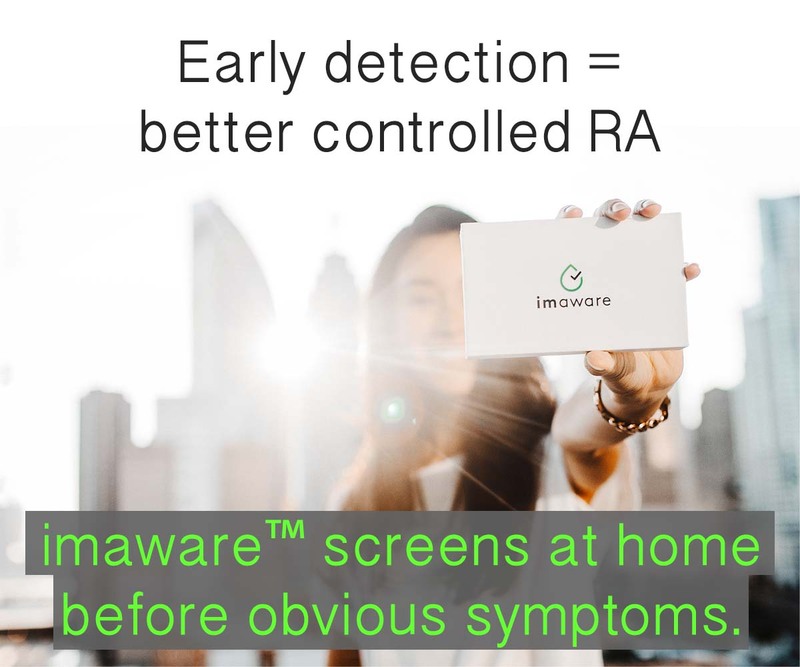 We’ve faced down the “rheumatoid personality” and “hypochondria” monsters like the warriors that we are, while we continued to fight RA with the other hand. If anybody needs a laugh, here’s a ridiculous take on chronic pan by a doctor on Consultant Live.com. He posted this as a “Key Question for Chronic Pain Sufferers” so docs could ask it of patients who have chronic pain. Most annoying? It was hard discovering the competitiveness of blogging. I had no idea. There is also lots of spam as folks try to use this site or its Facebook page for their own gain. I could live without that part of it. Most touching? The young people who have RA or JRA who comment on the blog. Also, some of the most precious are the parents or siblings or spouses of patients who leave comments or send me emails. What’s next in the history of Rheumatoid Arthritis Warrior? To answer those who’ve asked me, I will continue the blog as long as I can. When I think about quitting, people like this keep me going. There are many projects begun – plenty to keep me busy. Special thanks to friends at these websites and so many more of you: Authority Blogger Forum, Dual Sport Life, Ricky, Ching Ya, Sue at Lighthouse News, Lisa & Sara from Health Central, plus my special friends on Facebook and Twitter who encourage me every day. Happy Anniversary!!! This site is wonderful and I am so glad I found it. Thank you so much for it. You are a real blessing. Out of Lemons, make lemonade! I am not the same person that I was 12 years ago when I first got sick with this disease, it is not all bad. Learning to maximize the abilities I still have has been quite a process. That struggle to keep moving both mentally and physically is what unites us all with this disease. Good for you for finding your own way, and maybe helping someone else see their way. Thanks Joanne. Well said – that we are united in our struggle against the disease. 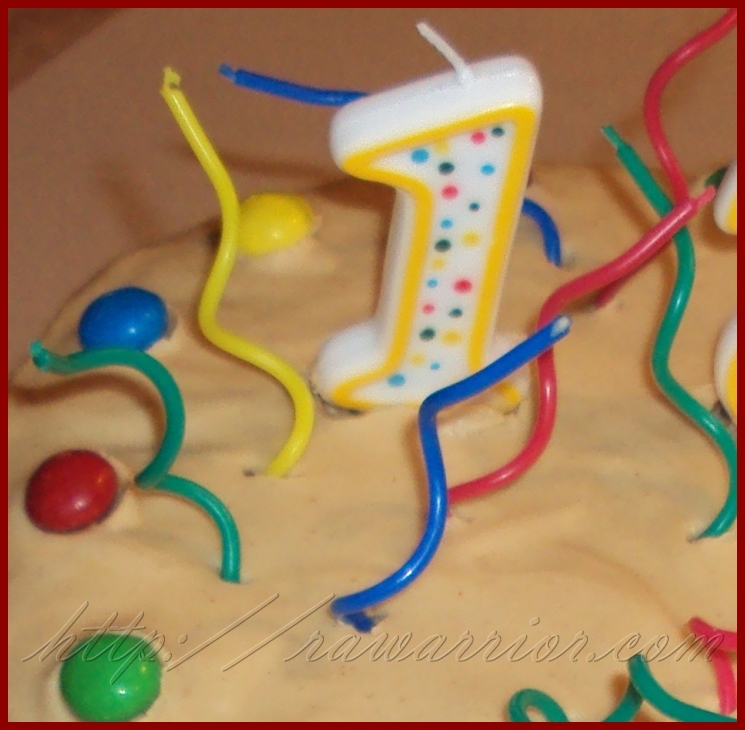 Congratulations Kelly on your first year! I stumbled across your blog via Twitter. While normally I focus my attention and time on writings about cancer, I have added your blog to my list of ‘must reads’. You have introduced me to the world of RA, of which I have no first-hand experience, and made me acutely interested in it. Awareness is critical. I applaud your efforts not only in supporting people with RA, but also for helping us who don’t have it to understand. Colleen, Thank you very much. Awareness is tricky business, but I’m trying to learn my way on that. I think it is at least half of our battle for 2 reasons: RA folks need a great deal of accomodation that they have a hard time obtaining & there is no major push for a cure for a disease that shortens lives. i luv to read it…n the comments of others who hv ra..
may ur site bcomes tooooo famous one day…. did u start this site on ur ra’s bday? I try to reply as quickly as possible. :heart: I was gone for doctor appts yesterday and again today – yuck. so wat did the doc said…..hws ur ra going? n helped him too by reading the topic n the comments of other patients…..
bt if i wud hv been at ur place,i wud never tell my doc..nor even my family….. Thank you so much for all of your time and effort put into helping us all become Warriors. In one year, you have helped so many of us. Your research and insight makes you wise beyond your years. Keep up the good work as long as you can. very sweet, Diane. Thank you. Kelly. I can’t thank you enough for your blog. It has helped me so much. There are days when i can’t understand what is happening to me and then I read something on your blog or FB page and see that someone else is going through the same thing. It’s great not to feel alone in this. I know it’s not easy for you. And I can’t imagine how you do it all. 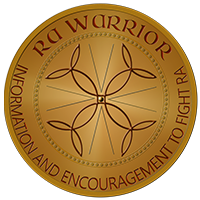 You are an RA Warrior for sure! I am blessed to have found you and the other Warriors. The sharing of information and friendships and support have become invaluable to me. Happy Anniversary!. 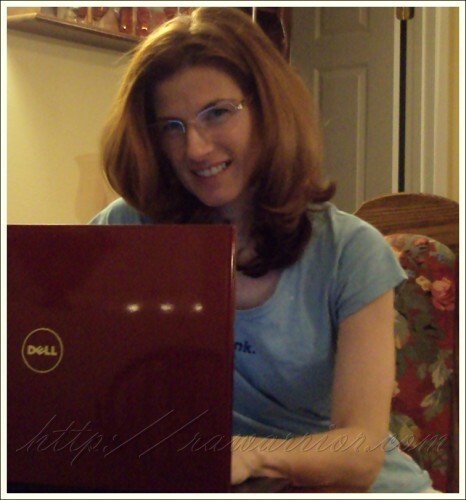 Thanks for your blog it helps so much.Am new to this as only been diagnosed for a year(suffered much longer…. )You are a real inspiration and a comfort when feeling bad. thank you – it helps me to know you are out there. :-)) How long did you have symptoms with no diagnosis? I only just found you within the past 2 months, but I totally appreciate all that you are about and it appears that doing the blog has gotten you to a place that it took me a little while to get to, and some people never reach. Research makes you a great resource, humor helps you deal with the day to day challenges and the friends in your life – cyber and real help you thru your days. Congrats and keep it up because I appreciate all your posts. I hope that others can find strength with a little help from their friends including you. Trust me – it really can get better. I’m so proud of you, Kelly. I’ve seen how you gone all the way till where you are today, the authority blogger for RA. It’s not easy and glad you’ve persevered, learned and continuously provide value to your readers. You’ll have many more glorious days, years to celebrate for sure. Thank you for sharing your story, joy with us. Very kind words, Ching Ya. You are a generous, bright, and humble friend. Thank you for all of your help & encouragement. So kind Ronda. Thanks so much for your encouragement. Kelly, first off, let me say, I’m so proud of you and everything you have done with rawarrior for all of us. You’re so right, it is not easy to keep up with, and I only post once a week, not everyday like you do. Happy Anniversary Kelly. Congrats to a smart, funny and serious blogger and all you do for us. Love the research you do on our behalf. Your work helps me, and I’m sure many others, on a daily basis. Thank you Nanc. You are a special addition to our community. 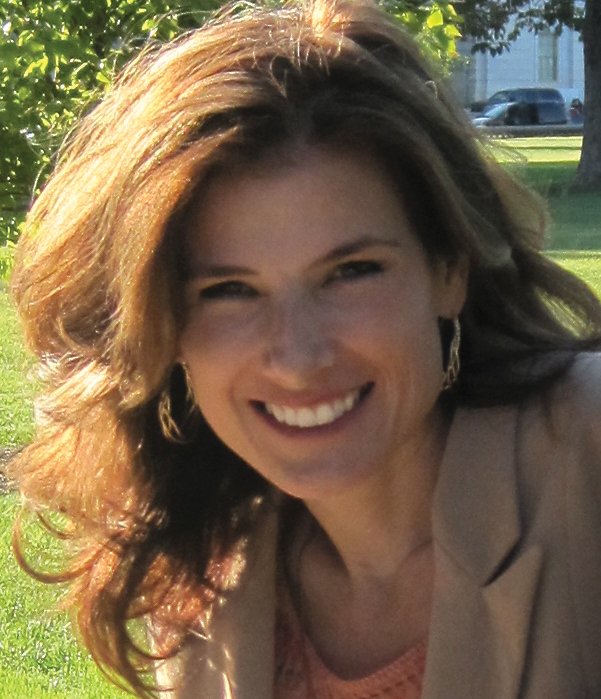 Kelly, Happy Anniversary and thanks for all you do, your site has helped me find peace on so many issues. Today my friend was telling me about a computer program called “Dragon Speak” which converts speech to written word, retails about $60 and apparently is super easy to use, has multiple accents and dialects and is also trainable to one’s individual accent. This may help on those “bad hand days”. Hi Alison, I have heard about that. First I need SO MUCH to get a hands free phone – and then I will look into that next. As an old writer, I wonder whether it would be hard for me to learn to not write with my fingers. ? Thank you for blogging, your site makes me feel not so alone. I am not the crazy atypical RA person anymore and that helps so much. Thank you for giving me a place to turn to when no one else did and when no one else really understood what I was (am) going through. It is so beautiful to see and live the fight you inspire, the wisdom and knowledge you share but more importantly the hope you give. I see you pour your heart and soul into this blog and give it to every single one of us, every single day. There are many blessing for you in heaven my lovely soul sister! I know now that good day or bad day – win or lose I will never be alone in this fight again! May God bless you in all you do! I was so happy to find your blog. You put into words so many of the same feelings and experiences that I had and SO many others! My diagnosis finally came with my 3rd. Rheumy. Some of your experiences are amusing to read now, at the time ,not so funny. It’s nice to know that I am not the only one to leave a dr. office with tears rolling down my cheeks and more prescriptions that would not work. Thank you Kelly and happy anniversary!